Spring is almost here (how TF did that happen?!) so time to switch out the winter wardrobe for spring style something a bit more seasonally appropriate. 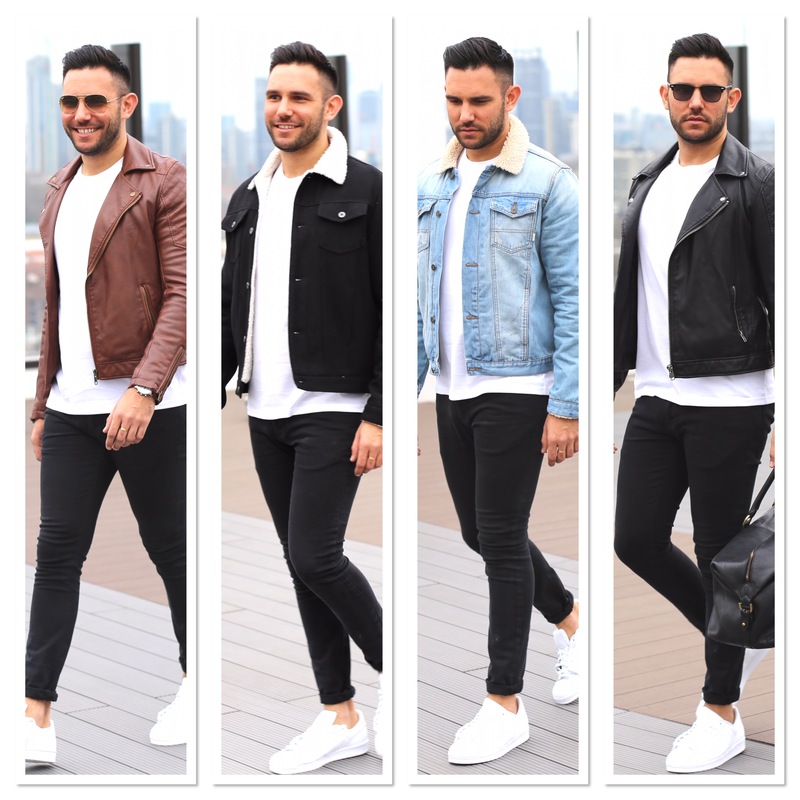 Switching up a look doesn’t have to be complicated, in fact you can make the same outfit look completely different just by changing out one item – like a casual jacket. Wearing a denim jacket gives a super casual feel, perfect for heading to the shops on a Saturday afternoon or a picnic in the park. 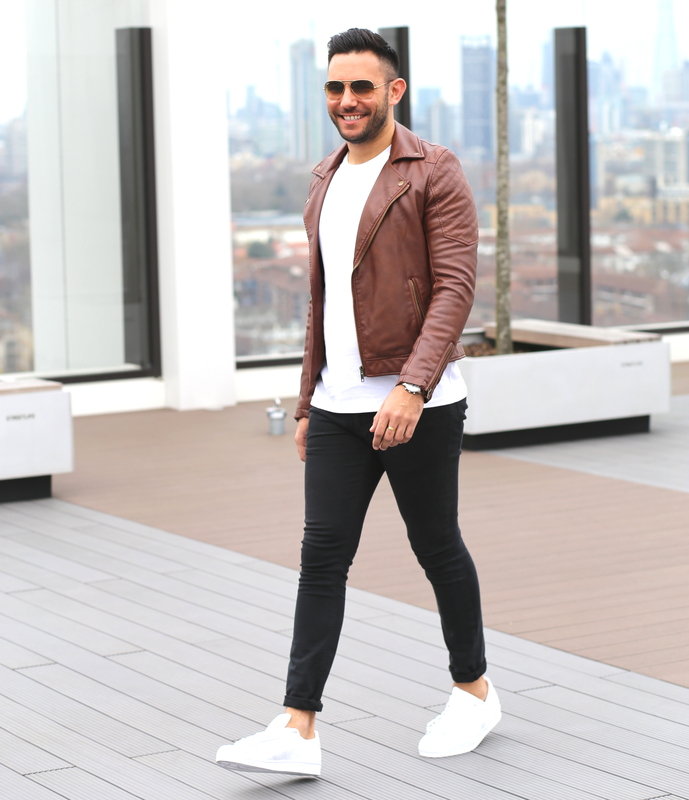 Wearing a leather jacket makes the look a bit smarter, but obviously still casual with the jeans, t-shirt and trainers. I’ve accessorised here with Rayban sunglasses – perfect for a boozy evening in a beer garden. Again a bit more smart because of the leather jacket but a great choice for a casual night out, a gig, or running errands around town. Please give me a shout and let me know what you thought of this post in the comments below or send me a message on social media. Is this the kind of thing you would wear?